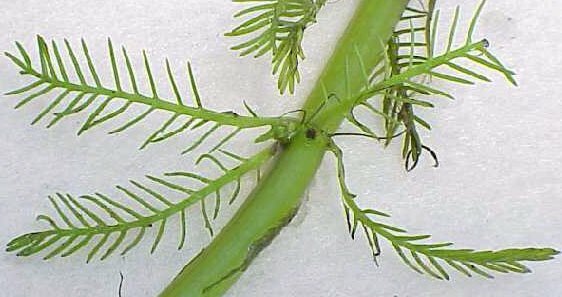 A mostly submersed perennial with feathery-like leaves that can spread and reproduce by fragmentation of the stems. Leaves are finely divided and take on a stiff, feathery appearance. Leaves occur in whorls of 4 and are up to 1 inch in length, with at least 12 stiff leaflets that occur oppositely from one another. Stout, rooting often. 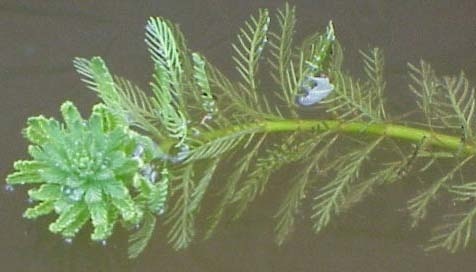 Fragmented stems are capable of producing new plants. Flowering stems are usually emersed and inconspicuous. 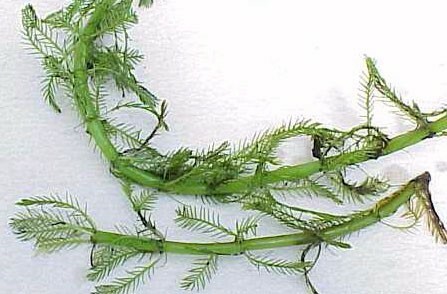 Emersed perennial aquatic weeds with leaves that are divided into many stiff leaflets that resemble a feather.